DreamPACS is a cloud-based zero footprint DICOM viewer with several unique features. Our goal is to make best use of all the capabilities that a browser allows - voice commands, integrated reporting, image analytics, data analysis, radiologist's efficiency, image and screen sharing just to name a few. DreamPACS's cloud based service provides easy access to the medical imaging files enabling medical practitioners and patients to quickly access, analyze and share medical scans from anywhere, anytime and on any device. 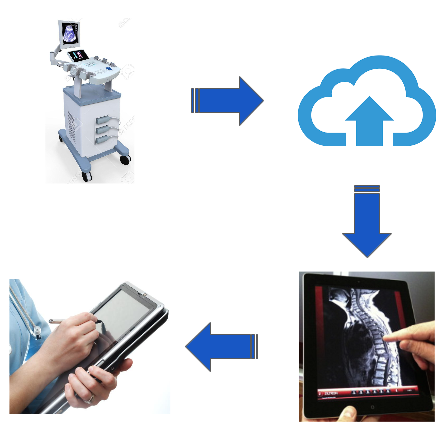 DICOM files can be uploaded to the cloud without using any specialized software. It is an ideal tool for clinical research organizations (CRO) using imaging markers for any study, and cuts down the cost to a fraction. The images can be sent from any computer and be read on any computer. The data is collected in customized tables as per the client's need. This becomes a one-stop shop for research imaging data collection, interpretation, and analysis. Our viewer is Radiologist-friendly and voice commands make viewing of images easy to prevent repetitive stress injuries.